A preliminary report released today by the Australian Transport Safety Bureau (ATSB) indicates that the fatal crash of an EMB-120 Brasilia at Darwin occurred during a simulated engine failure. On 22 March 2010 an Embraer 120ER Brasilia turboprop plane, registered VH-ANB, was destroyed in a takeoff accident at Darwin Airport, NT (DRW), Australia. Both pilots were killed. 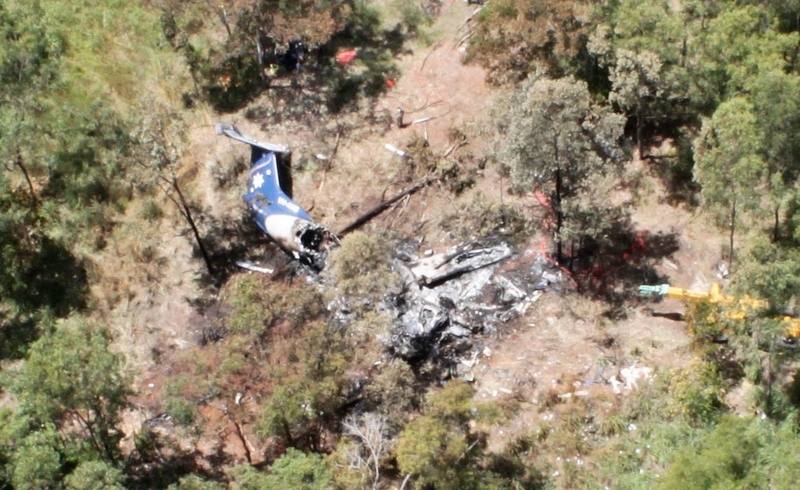 The ATSB report states that flight was a training flight to revalidate the captain’s command instrument rating. The supervisory pilot/training captain advised the aerodrome controller that the departure would incorporate asymmetric flight (a simulated engine failure), and was approved by the controller to perform the manoeuvre. Witnesses reported that the takeoff appeared ‘normal’ until a few moments after becoming airborne, when the aircraft rolled and diverged left from its take-off path. They watched as the aircraft continued rolling left, and entered a steep nose-down attitude. The airplane impacted the ground in a right wing-low, nose-down attitude of about 65 degrees. A high intensity, fuel-fed fire that followed the collision with the ground destroyed most of the fuselage and cabin and right wing.